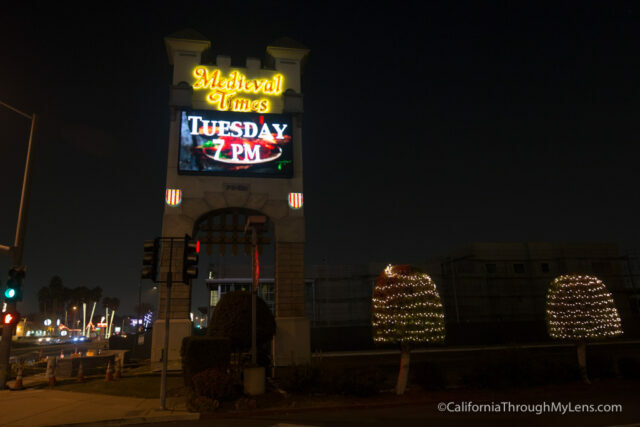 Medieval Times is a dinner theater in Buena Park that features a nightly show where there is jousting, fighting, horse tricks and even a falcon that makes an appearance. It is one of those places I went to a couple of times growing up but didn’t think I would enjoy when I was an adult. 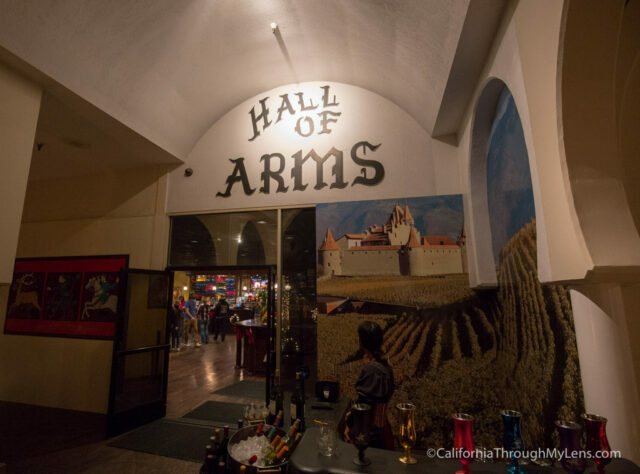 I went again on a whim though and boy was I wrong, Medieval Times is spectacularly awesome, and even in 2016 it is a fantastic night out. Here is all the information. 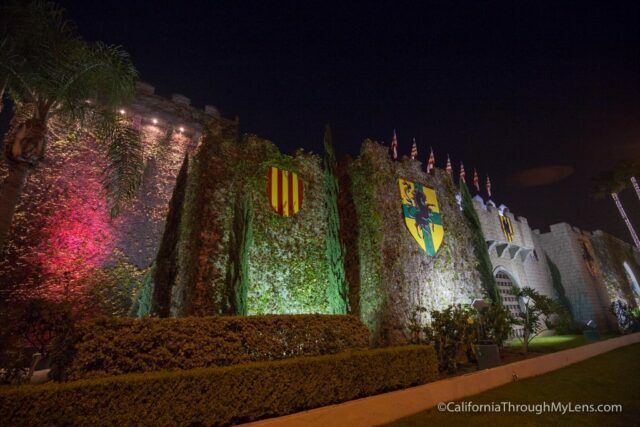 Medieval Times is located right off the 91 Freeway at the Beach Blvd exit. After getting off on the exit, you will drive under the freeway and then see it about a half-mile down on the left. 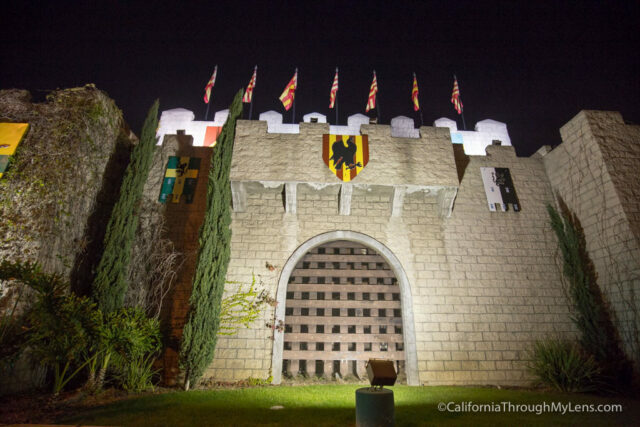 There is a large parking lot behind the castle, and it is free to park in for the show. 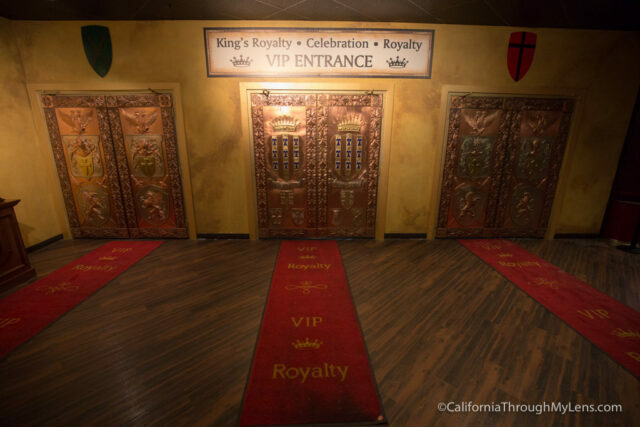 After arriving at the show, you get checked in and are whisked away into a magical and medieval world. The people great you with “My Lord” and “My Lady” and everything is just the right amount of cheesiness to be fun. 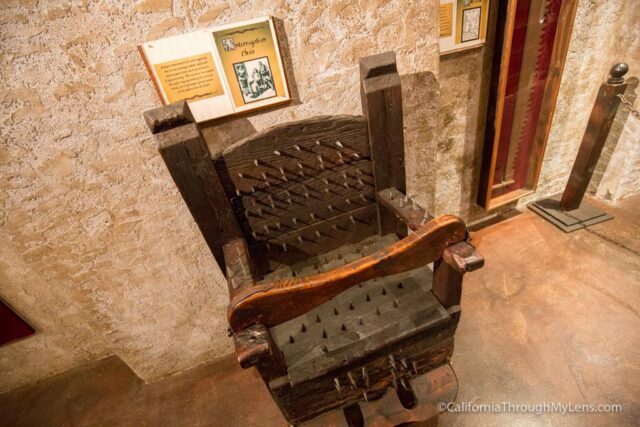 Upon entering you can pay an additional $3 to access the small museum of torture they have there. I was early so I paid the extra fee, I am not sure why it is extra, but at least it was not a lot. 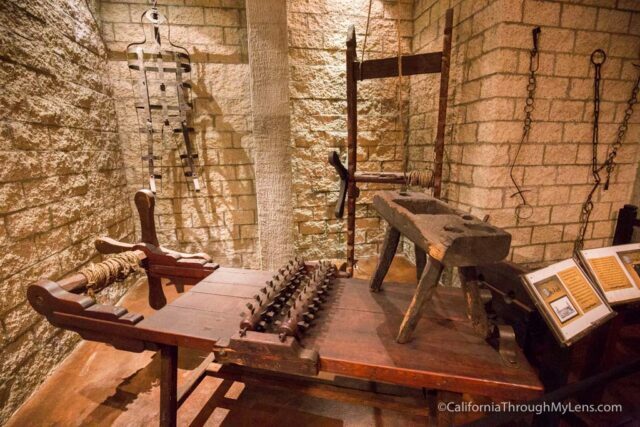 The small room holds over a dozen Medieval torture devices, and I have to say they were pretty grotesque to read about. From here I headed into the lobby to explore before the show. 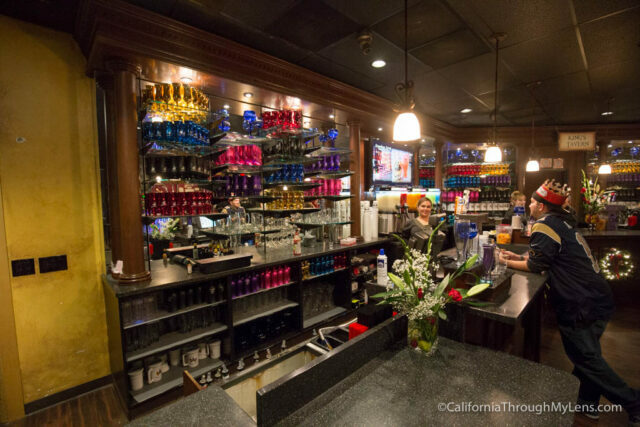 There is a full bar if you want to get a drink and a store where you can buy all sorts of crazy souvenirs for the show. 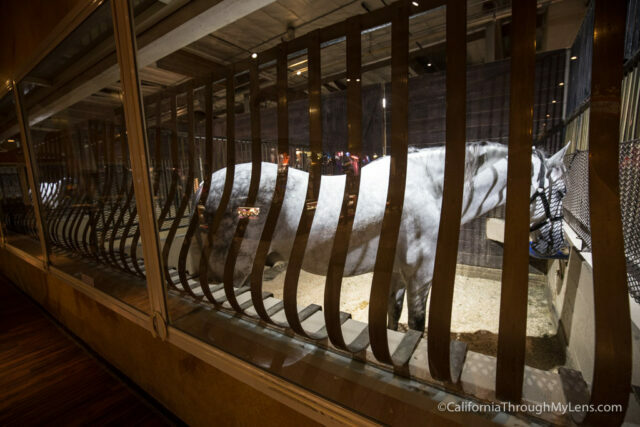 In the back, you can see the horses in their pens which I thought was a cool touch. When it was close to show time we were let in. I opted to upgrade to the VIP pass which gave us early access and a few other things for $12. It was fun because we were in the front row which was super close to the action. Since this is a dinner show, I should talk about the food. Overall, it was fine. 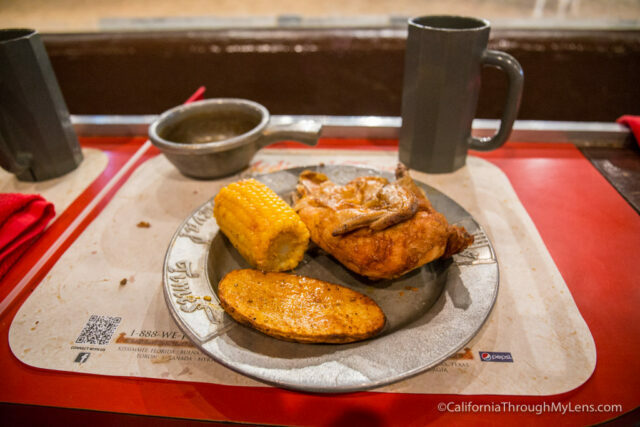 It is general finger foods like chicken, corn and a potato. 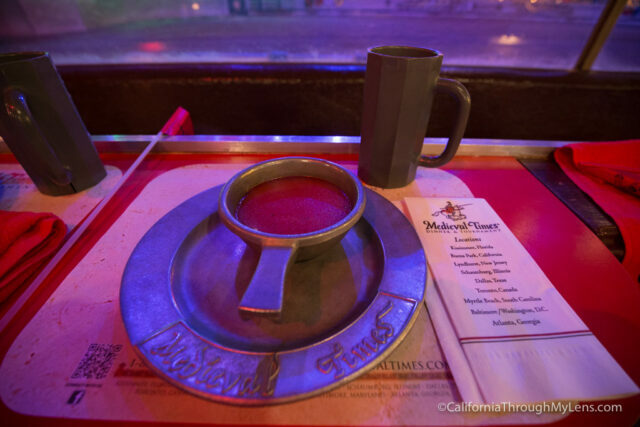 There are no utensils, so you will be eating with your hands which is fun. The food is nothing to write home about but it did the job for providing sustenance while watching the show. I don’t want to spoil anything, so I will not share too much here, but the show is pretty awesome. 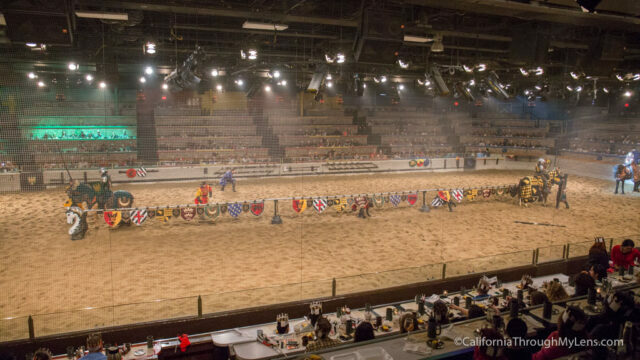 There is horse showmanship, different skill games, jousting, fighting and lots of cheering. We sat in the red knight area, so that is who we were cheering for. 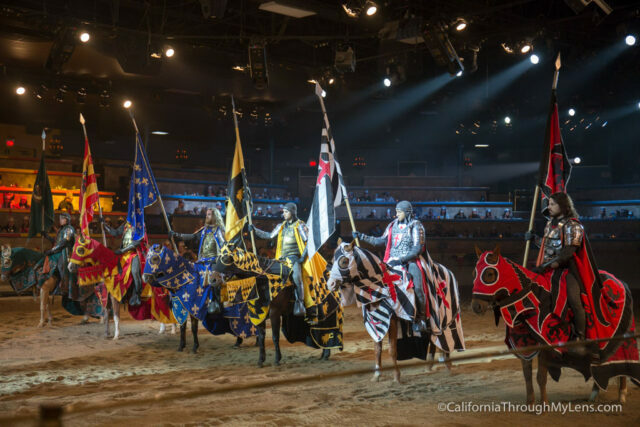 It is a lot of fun to cheer on your knight as they do battle with the other five knights of different colors. 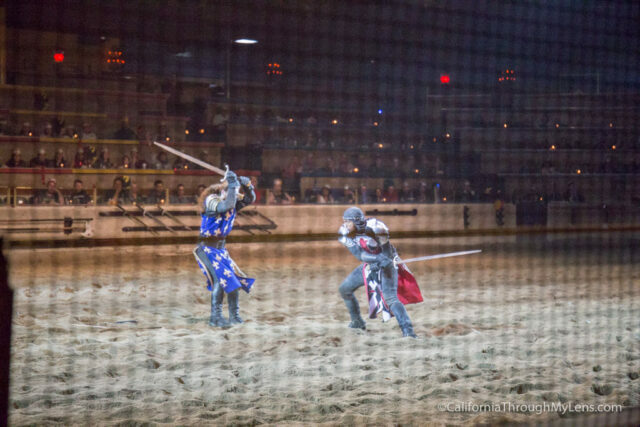 After about an hour and 45 minutes, our show came to an end with an epic battle and the whole stadium was cheering as the red knight rose victorious. My friend and I both agreed that it was a great two-hour experience, with the only con being that the seats were not that comfortable. 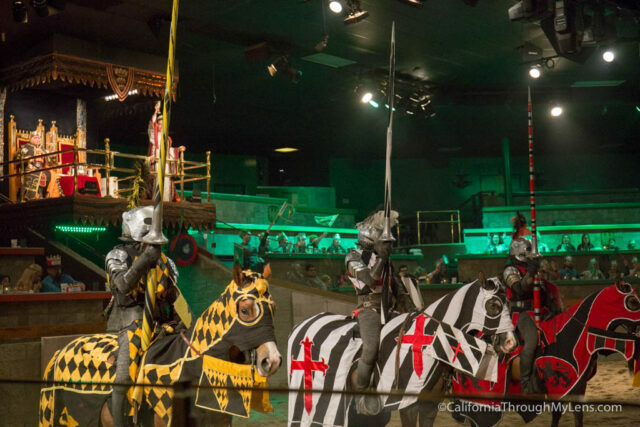 All in all, though I recommend Medieval Times, I had a total blast. It can be pricey, but if you go with someone on their birthday, you can at least get one of the tickets free. I would say that for the price it is an awesome night out in Southern California. Be sure to check it out if you get a chance and let me know what you think in the comments. 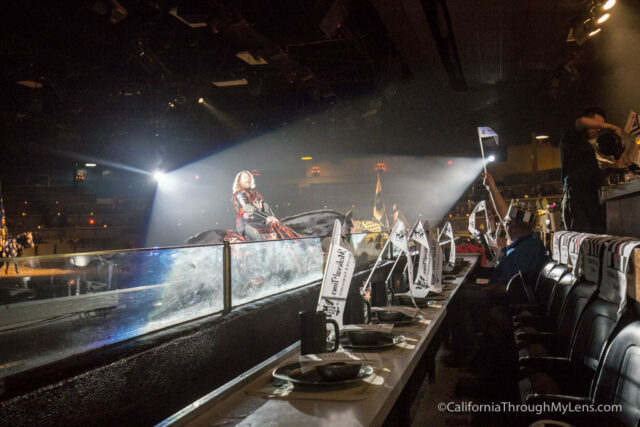 Disclosure: The general tickets were provided for me, I paid for the upgrades and all additional expenses. 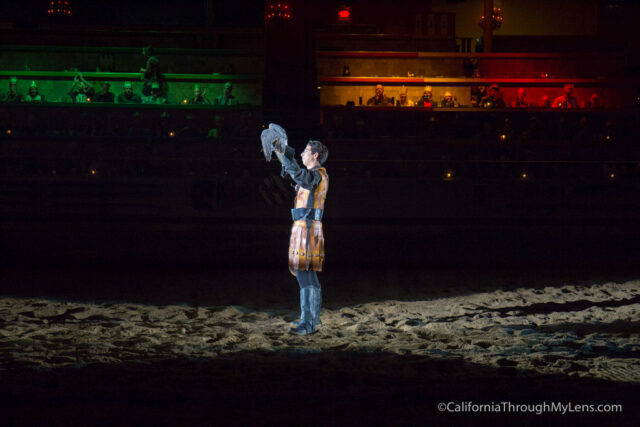 All opinions are my own though and honestly Medieval Times was truly epic.